Sciatica refers to back pain caused by a problem with the sciatic nerve. This is a large nerve that runs from the lower back down the back of each leg. 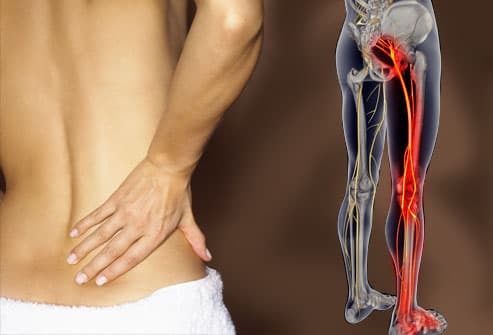 When something injures or puts pressure on the sciatic nerve, it can cause pain in the lower back that spreads to the hip, buttocks, and leg. Up to 90% of people recover from sciatica without surgery. The most common symptom of sciatica is lower back pain that extends through the hip and buttock and down one leg. The pain usually affects only one leg and may get worse when you sit, cough, or sneeze. The leg may also feel numb, weak, or tingly at times. The symptoms of sciatica tend to appear suddenly and can last for days or weeks. Up to 85% of Americans experience some type of back pain during their lives. But this doesn't always involve the sciatic nerve. In many cases, back pain is the result of overextending or straining the muscles in the lower back. What most often sets sciatica apart is the way the pain radiates down the leg and into the foot. It may feel like a bad leg cramp that lasts for days. Most people who get sciatica are between the ages of 30 and 50. Women may be more likely to develop the problem during pregnancy because of pressure on the sciatic nerve from the developing uterus. Other causes include a herniated disk and degenerative arthritis of the spine. The most common cause of sciatica is a herniated disk. 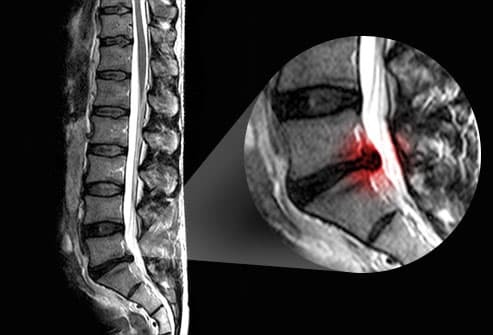 Disks act like cushions between the vertebrae of your spine. These disks get weaker as you age and become more vulnerable to injury. Sometimes the gel-like center of a disk pushes through its outer lining and presses on the roots of the sciatic nerve. About 1 in 50 people will get a herniated disk at some point in life. Up to a quarter of them will have symptoms that last more than 6 weeks. Natural wear and tear of the vertebrae can lead to a narrowing of the spinal canal. This narrowing, called spinal stenosis, may put pressure on the roots of the sciatic nerve. Spinal stenosis is more common in adults over age 60. In rare cases, sciatica may result from tumors growing inside or along the spinal cord or sciatic nerve. As a tumor grows, it may put pressure on the nerves that branch off from the spinal cord. 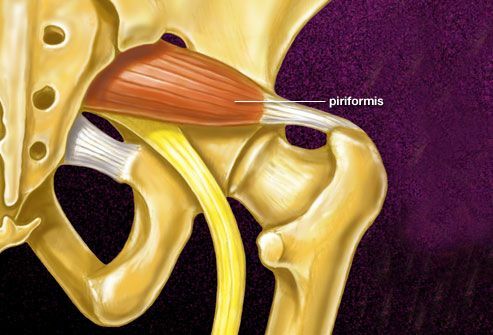 The piriformis is a muscle found deep inside the buttocks. 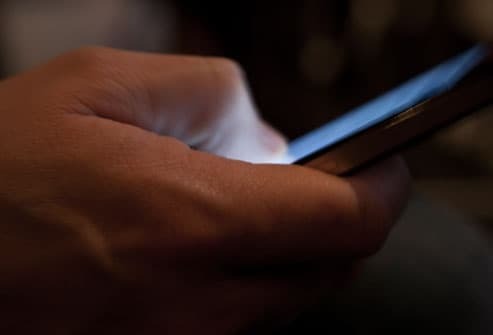 It connects the lower spine to the upper thighbone and runs directly over the sciatic nerve. If this muscle goes into spasm, it can put pressure on the sciatic nerve, triggering symptoms of sciatica. Piriformis syndrome is more common in women. You might not think of too much cash as a source of pain, but a fat wallet can trigger piriformis syndrome. 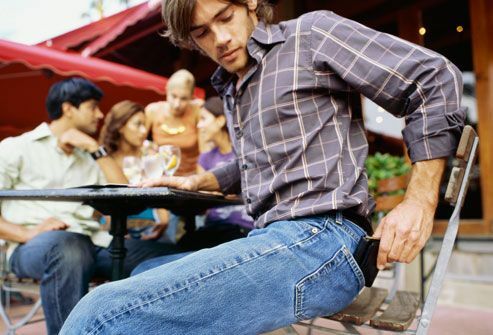 The condition can affect men who wear their wallet in the back pocket of their pants. This puts chronic pressure on the piriformis muscle and can aggravate the sciatic nerve over time. You can avoid this problem by keeping your wallet in a front pocket or jacket pocket. 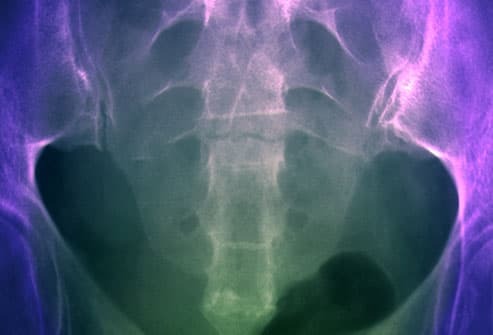 Sacroiliitis is an inflammation of one or both of the sacroiliac joints, the spot where the lower spine connects to the pelvis. Sacroiliitis can cause pain in the buttocks, lower back, and may even extend down one or both legs. The pain can worsen with prolonged standing or climbing stairs. Sacroiliitis can be caused by arthritis, injury, pregnancy, or infection. Other causes of sciatica include muscle inflammation, infection, or injury, such as a fracture. 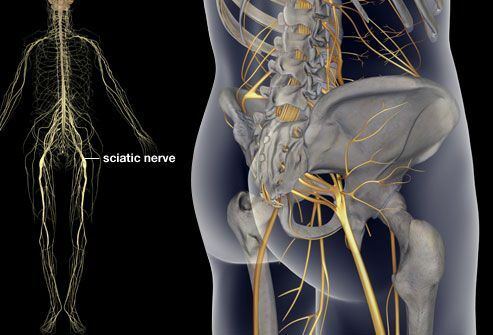 In general, any condition that irritates or compresses the sciatic nerve can trigger symptoms. In some cases, no specific cause of sciatica can be found. To determine whether you have sciatica, your doctor will ask you how the pain started and where exactly it is located. You may be asked to squat, walk on your heels or toes, or raise your leg without bending the knee. These muscle tests can help your doctor determine if it is the sciatic nerve that is irritated. 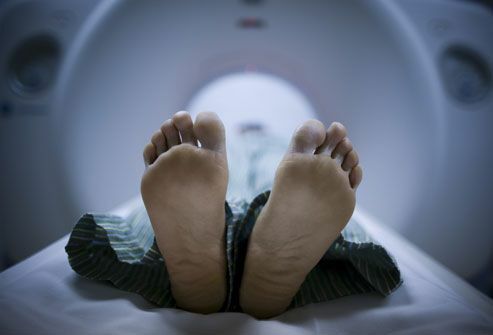 Your doctor may order imaging tests, such as an MRI, to get more information about the location and cause of the irritated nerve. 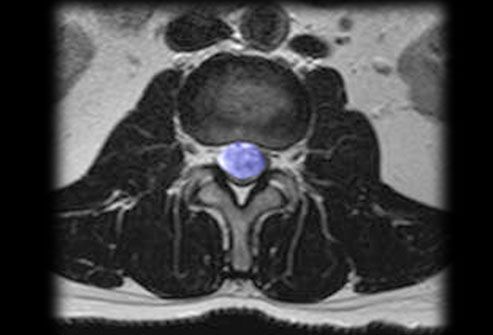 An MRI can show the alignment of vertebral disks, ligaments, and muscles. 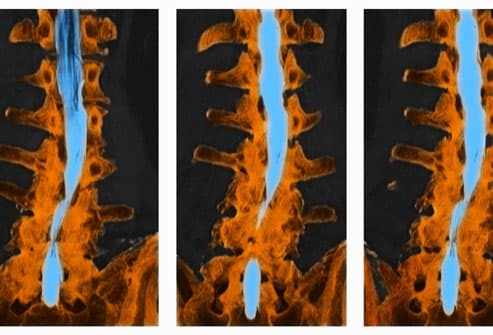 A CT scan using contrast dye can also provide a useful picture of the spinal cord and nerves. Determining the cause of sciatica can help guide the course of treatment. X-rays can help identify bony abnormalities but can't detect nerve problems. If you develop a loss of bladder or bowel control, contact your doctor right away. This can be a sign of a medical emergency that requires surgery to avoid permanent damage. Fortunately, this complication is rare. Most cases of sciatica go away within a few days or weeks and cause no lasting harm. There are steps you can take at home to ease the pain of sciatica. 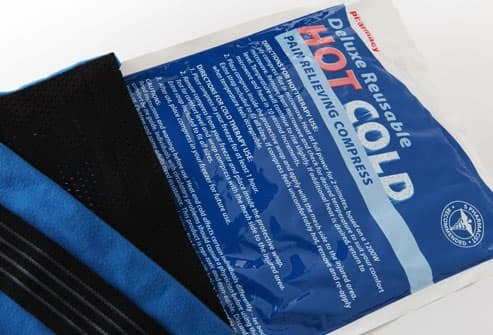 A heating pad or ice pack may be especially helpful. Apply the heat or ice for about 20 minutes every two hours. Experiment to see which provides more relief, or try alternating between the two. Over-the-counter pain relievers can provide short-term relief from sciatica. 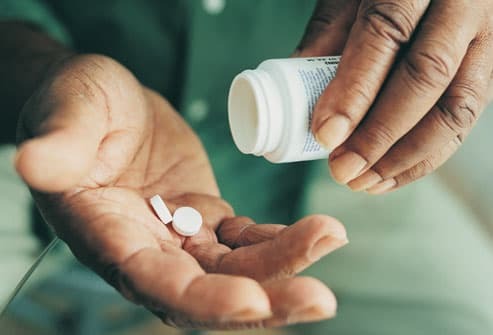 Acetaminophen and nonsteroidal anti-inflammatory drugs (NSAIDs), such as aspirin, ibuprofen, and naproxen are options. Your doctor may give you a steroid injection to further reduce the inflammation. While sciatica is healing, try to remain active. Motion can actually help reduce inflammation and pain. A physical therapist can show you how to gently stretch the hamstring and lower back. Practicing tai chi or yoga can help stabilize the affected area and strengthen your core. Depending on your medical condition, certain exercises may not be recommended. Your doctor may also recommend taking short walks. 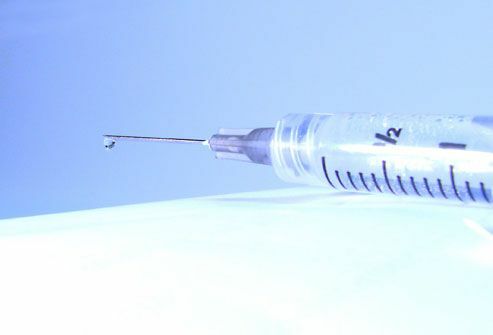 In severe cases, a doctor may recommend injecting steroids into the spine area to reduce inflammation. It delivers the medication directly to the area around the sciatic nerve. 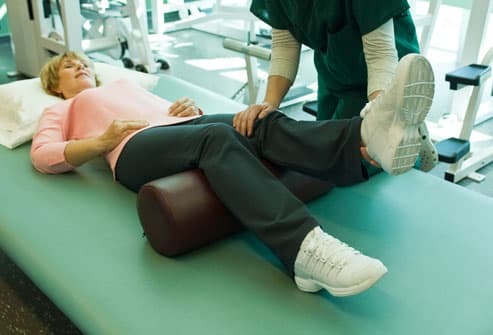 If your sciatica is due to a herniated disk, and it's still causing severe pain after four to six weeks, surgery may be an option. The surgeon will remove a portion of the herniated disk to relieve the pressure on the sciatic nerve. 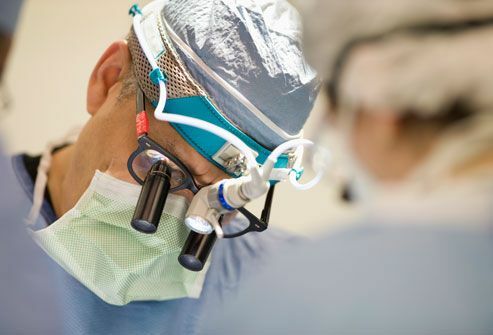 About 90% of patients get relief from this type of surgery. Other surgical procedures can relieve sciatica caused by spinal stenosis. After back surgery, you will generally need to avoid driving, lifting, or bending forward for about a month. Your doctor may recommend physical therapy to help you strengthen the muscles in the back. Once recovery is complete, there's an excellent chance you'll be able to get back to all your usual activities. 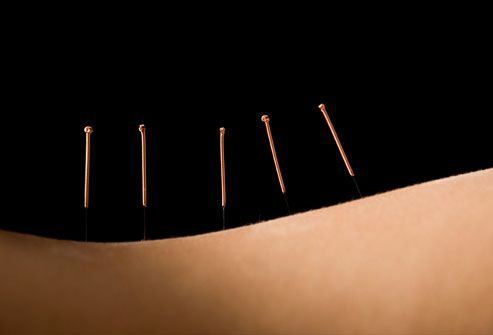 There is evidence that acupuncture, massage, yoga, and chiropractic adjustments can relieve typical lower back pain. But more research is needed to determine whether these therapies are helpful for sciatica. Bend at the knees to lift heavy objects. These steps can help you avoid back injuries that may lead to sciatica. (6) Scott Camazine / Photo Researchers, Inc.
American Academy of Orthopaedic Surgeons: "Sciatica." American Association of Neurological Surgeons: "Low Back Pain." American Pregnancy Association: "Pregnancy and Sciatic Nerve Pain." American College of Obstetricians and Gynecologists: "You and Your Baby." BBC News: "Is Your Wallet a Pain in the Back?" National Institute of Neurological Disorders and Stroke: "Piriformis Syndrome." American Academy of Orthopaedic Surgeons: "Spinal Injections." Chou, R. Annals of Internal Medicine, October 2007; vol 147: pp 492-504.